Oil fell amid mounting concerns that slowing growth in China, and the global economy in general, will undermine demand for crude. Brent futures declined as much as 1.6% in London. Chinese President Xi Jinping, meeting the country’s top leaders on Monday, stressed the need to maintain political stability – a fresh sign he’s anxious about the implications of a decelerating economy, which last year expanded at the weakest pace since 1990. The International Monetary Fund (IMF) also cut its global growth forecast. 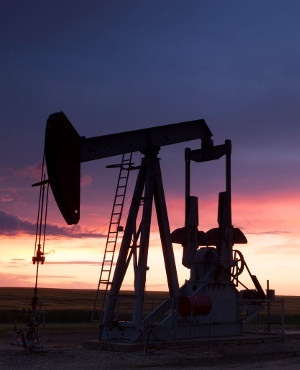 "Oil prices are slightly down from yesterday along with concerns of Chinese growth slowdown, which could affect oil consumption," said Michael Poulsen, an analyst at Global Risk Management. Oil has advanced 15% in London this year on expectations that any surplus will be kept in check as the Organization of Petroleum Exporting Countries (OPEC) and its allies curtail production. But the outlook for weakening fuel demand and America’s ongoing shale boom are threatening that rally. Brent for March settlement declined 93 cents to $61.81 a barrel on the ICE Futures Europe exchange at 10:41 in London, after rising 4 cents on Monday. The global benchmark crude was at an $8.54 premium to West Texas Intermediate (WTI) for the same month. WTI crude for February, which expires Tuesday, was at $53.15 a barrel on the New York Mercantile Exchange, down 65 cents from the settlement on January 18. The more active March contract fell 74 cents to $53.30. There was no settlement on Monday because of a holiday in the U.S. All transactions will be booked on Tuesday. "Concerns about excess supply have been eased for the time being thanks to OPEC’s production cuts, led by Saudi Arabia," said Kei Kobashi, a senior analyst at Sumitomo Corporation Global Research. "Now, the demand side is called in question. People are trying to figure out how much China’s and the world’s crude demand will fall." The IMF on Monday lowered its forecast for the world economy for a second time in three months. The lender now predicts global growth of 3.5% this year, down from 3.7% expected in October and the weakest in three years. The fund warned fresh trade tensions would spell further trouble. Meanwhile, Xi urged the Communist Party needed greater efforts "to prevent and resolve major risks," according to the official Xinhua News Agency. He made the remarks on the same day that China reported its quarterly economic growth fell to 6.4%, the weakest since 2009. The rise of US shale oil is choking off a historic gasoline trade, dealing a blow to European refineries that for decades have relied on American drivers to buy their excess supplies. A month into Alberta’s mandatory oil curtailment, rationing on the country’s biggest heavy-crude export pipeline system has eased, but very little. Three-quarters of senior oil and gas professionals surveyed by energy and maritime services company DNV GL AS say they are optimistic about the sector’s growth in 2019.